COMMERCIAL KITCHEN CLEANING AT ITS BEST. Remember when your walls used to be white? Now they are yellowed and your floors are always sticky. The place smells funny and no matter how hard you scrub, it always seems dirty. It is time for a commercial kitchen cleaning. ProCo Hood Cleaning is the best hood cleaning service in the Denver, Colorado area. 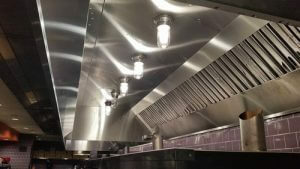 Not only are we a professional hood cleaning service in the Denver, Colorado area, we can also completely clean your commercial kitchen cleaning. We can apply the latest technologies to ensure that your business is sparkling when we are finished. Many restaurant managers or owners don’t realize just how much build up they have in their commercial kitchen. They’ve seen it every day for the last (fill in the blank) months. It’s easy to overlook the build-up. Having a professional commercial kitchen cleaning service come to your business will leave your kitchen squeaky clean and safe. ProCo Hood Cleaning will ensure that your kitchen is clean and meets the local board of health regulations and fire safety codes. 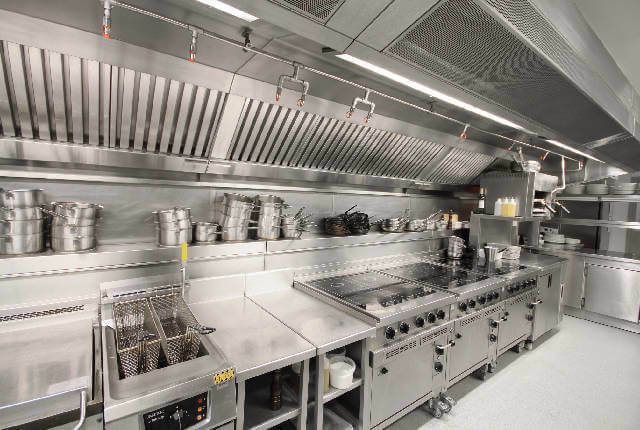 Our team is made up of trained commercial kitchen technicians and we can ensure everything meets the local standards. WE’LL KEEP YOU IN THE LOOP ON EVERYTHING WE DO. Our certified technicians will always keep you in the loop during the inspection and cleaning process. We will educate you along the way about the condition of your kitchen and kitchen equipment. 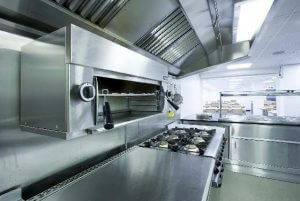 We clean many different types of kitchens and kitchen equipment of all shapes and sizes. This enables us to be able to determine potential risk factors or spot bad parts very easily. If we see a piece of equipment that needs improvement, we will inform you. Many times, we can replace the part for you. If for some reason we can’t replace a part for you, we will make a recommendation. We will also educate you on things that you should be on the look-out for when it comes to maintaining your kitchen equipment. Many times hazard signs are overlooked in commercial kitchens. For example, the rattling of an exhaust fan may seem totally normal, but it is major risk factor. Rattling is a symptom of an unbalanced fan. An unbalanced fan can burn up your exhaust motor, raise your electricity bill, and worst of all, cause a fire. An unbalanced exhaust fan is usually the result of grease build-up, which is a high fire hazard. SO WHAT CAN WE CLEAN AND HOW? We can clean essentially your entire kitchen and the equipment. Our main methods of cleaning are pressure washing and steam cleaning. However, some things may call for a hands-on cleaning. We can clean walls, floors, ceilings, hood systems, exhaust fans, rooftop grease containment, the roof, sidewalks, and more. Our goal is to basically make you the shiniest restaurant in town. If you have an area that you would really like professionally cleaned, call us. We can come out and scrub until it looks new. Leave the dirty work to us. YOU ARE THE HEART AND SOUL OF OUR BUSINESS. Sometimes we can get pretty deep (cleaning and emotionally). Ok, ok. The point is, that your satisfaction is really important to us. We want your business and it’s people like you who make our dream job possible. Let’s do business together. Let us make you sparkle! Call us today to schedule an appointment.